Located on the famous Côte des Blancs, the Domaine Larmandier Bernier produces Champagnes, grown in natural viticulture and biodynamics, of great purity with a terroir marked by the absence of dosage. 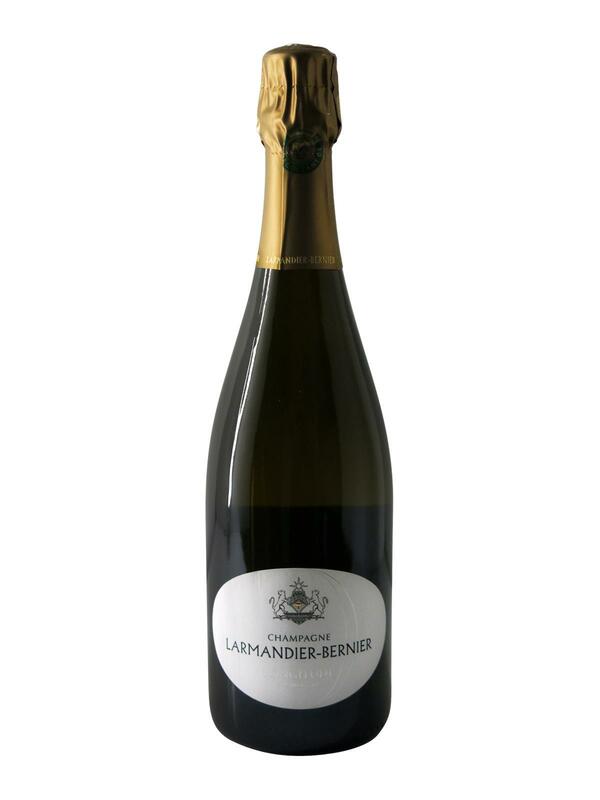 Originally called "Blanc de Blancs", this cuvée from Larmandier Bernier is made exclusively from Chardonnay harvested on the Côte de Blancs: Avize, Cramant, Oger and Vertus. The imaginary line connecting these four parcels on a map being close to the fourth meridian, it will inspire the new name of this vintage: Larmandier Bernier "Longitude". As with grape growing, Domaine Larmandier Bernier lets nature do the alcoholic fermentation using indigenous yeasts. Malolactic fermentation starts naturally and spontaneously in barrels and vats. Without filtration or fining, but with light batonnages, Larmandier Bernier "Longitude" Blanc de Blanc extra brut champagnes are matured for one year on natural lees, then wait, rise and age on slats for 2 to 3 years in the freshness of their cellar. As for the "Latitude" vintage, each bottle of champagne Larmandier Bernier "Longitude" Blanc de Blanc extra brut is manually disgorged 6 months before being marketed. Its dosage is also 4g/l.